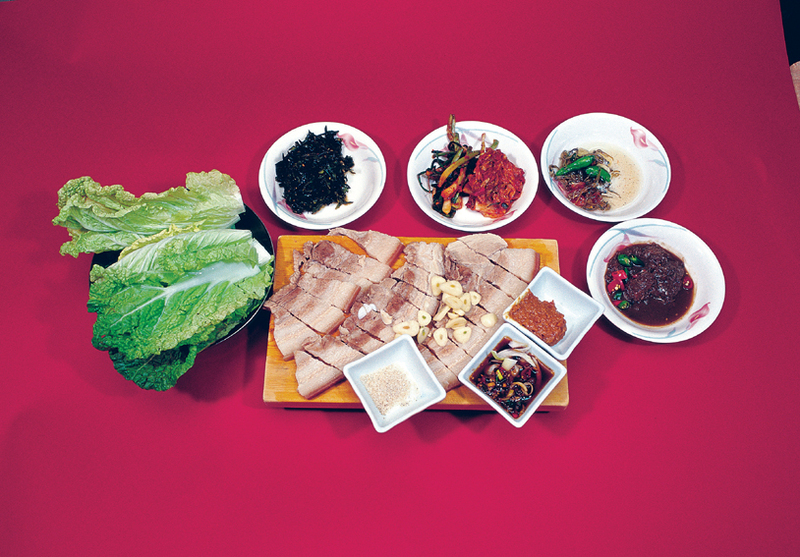 Of Jeju's many traditional foods, black pork reigns among the most famous of the island's specialties. Jeju's black pork is arguably as significant and rooted a staple of Jeju Island as kimchi is to the whole of Korea. Its origins are owed particularly to Jeju's unique geography and cultural history. Despite appearances, the Korean preference for this little piggy isn’t entirely about the palate. History The pig prevalence is the result of environmental prejudice. Bovine goods naturally and inevitably had to take a back seat on Jeju. The island landscape is generally ill-suited to resource-hungry grazing cows. Historically, cows were also unnecessary because field tilling wasn’t a prerequisite for Jeju’s main crops, like the tangerine. Beef has therefore typically been imported, and expensive. 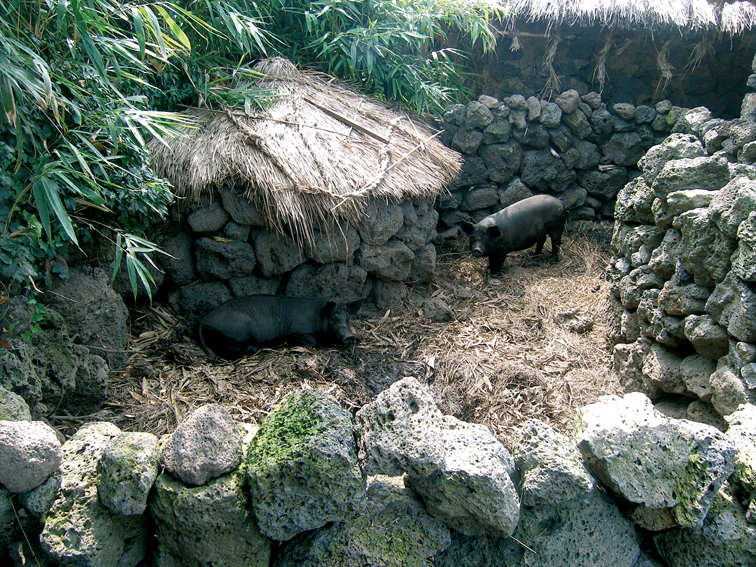 Self-sufficient Jejuites wisely turned to a lower-maintenance form of meaty sustenance, and the role of the pig on Jeju was born. Black pork stole the spotlight with its reputation for being juicier, more tender, and less pungent than other varieties. The fame of Jeju’s black pork can be attributed to a Korean belief that the taste and quality of meat is determined by three factors: wind, water, and air. Jeju’s golden reputation for all three makes Jeju black pork highly coveted by native residents and mainlanders alike. Black pork from Jeju is considered the most delicious variety throughout all of Korea, and steep export prices reflect this partiality. Tradition Dosegi Chureom is a traditional pork festival held within a community during special occasions such as weddings, funerals, and holidays like Chuseok. The number of pigs served by the host family was considered an indication of the family’s wealth. “Dosegi” is Jeju dialect for “pig,” and this swine-centric gathering brought a community together around the butchering, cooking, and preparation of family-raised pigs. Among others, Dombe-style black pork originated from this tradition. An entire pig was boiled slowly, and the meat was chopped off and placed on a cutting board called a “dombe”. In the absence of elegant dishware, the pork was eaten directly off this cutting board. Dombe-style black pork is still a popular specialty, though the tradition of Dosegi Chureom is in decline due to the convenience and pervasiveness of pork restaurants. There are also less appetizing aspects of the black pork tradition on Jeju. Before the 1980’s, the pigs were raised Tongsi-style. In fact, there are still a few limited places where Tongsi-style raising can be witnessed, such as the traditional folk villages. However it's not recommended for the faint of heart, nor the sensitive stomached. Tongsi refers to farmers’ toilets emptying directly into the pigpens. The pigs fed on human excrement. The pig excrement was in turn used to fertilize crops, and this style of raising pigs was considered a very natural process. The tourism industry later decided that this circle-of-life approach didn’t translate well cross-culturally, and the practice has since all but disappeared. 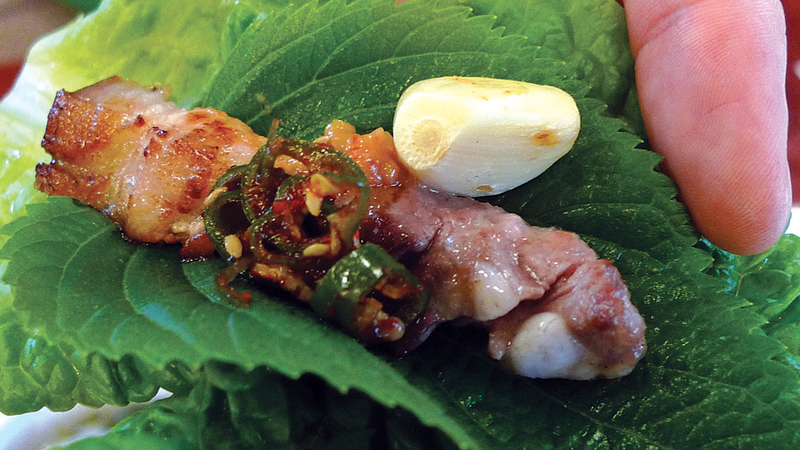 Pork Dishes A Jeju mentality of resourcefulness still prevails, and all parts of the pig are consumed to this day. Head to toe, inside and out, consumptive-creativity has long been a necessary component of the butcher’s repertoire. Many dishes make use of the head, feet, skin, liver, and intestines. This variety is a testament to the historical role of pork as the only source of meat available on the island. Jeju black pork is currently enjoyed in dishes such as Dombe-gogi (boiled pork served on a cutting board), Dweji Gu-i (barbecued pork), Ogyupsal Gu-i (grilled five layer pork), and in dishes more common to the mainland such as Dweji Sagol Tang (boiled bone soup) and Dweji Gal-bi (pork ribs). Any way you slice it, the Jeju black pork legacy lives on. At twice the price, is black pork better?